Payment plans are set up with the agreement of the manager dealing with your late filing penalty query. We will not cold call you to take a payment. 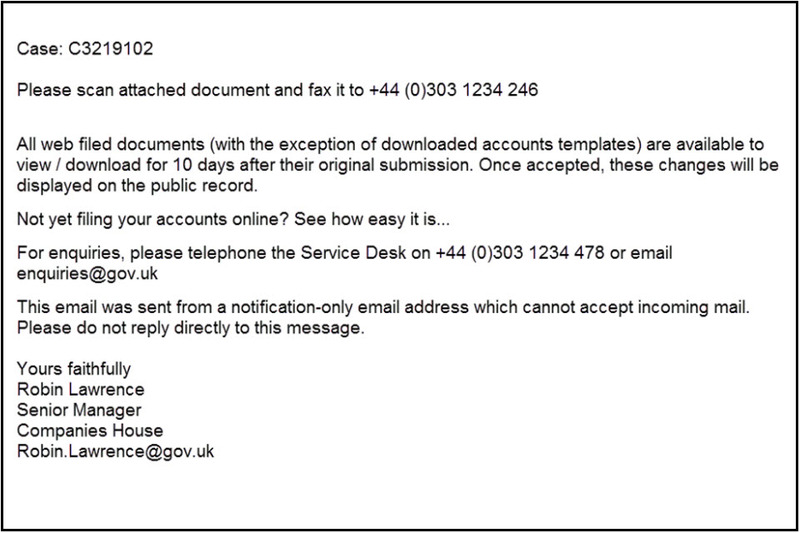 We are aware that a number of suspicious emails are being sent claiming to be from Companies House. These emails have not been generated by Companies House. The latest of these bogus emails claims to be a response to an online filing submission. Companies registered at Companies House are receiving notifications asking for money to maintain their company on the register.